I am trying to set up a dropbox where people can upload video. I have followed all of the steps but when I try to use the form it will not take the video I choose. I have integrated it with dropbox, chosen a folder, etc. Thank you for contacting us. May I know what file extension and what is the size of the video you are trying to upload? Are you getting an error message when uploading a file or you just don't get any message at all? 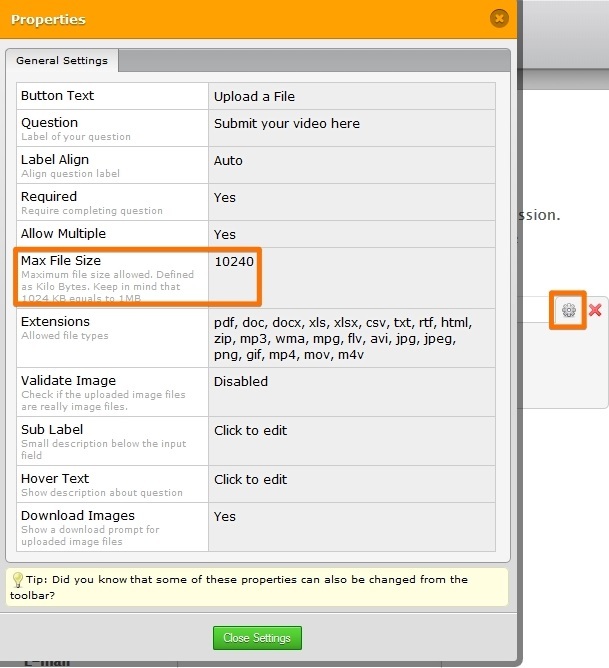 When uploading a file you may consider what type of extension and the size of the file you want to upload. 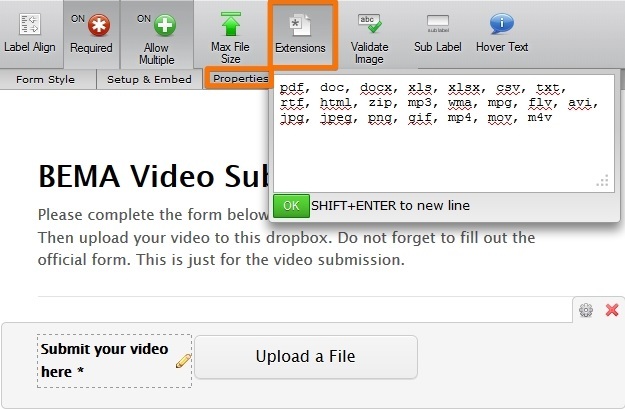 Adding or removing file extension. Adjusting the upload size limit. If you have questions please do let us know.